Voicebot has learned today that Amazon is putting in place an Alexa SMS feature. The feature appears to include a a phone number associated with a user account that is not the user’s smartphone number. Contacts will receive the SMS messages from your “Alexa number.” This goes beyond the messaging features that Amazon released in May. 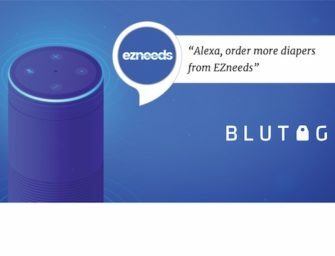 That was limited to connecting Echo device owners through the Alexa app or the Echo. This SMS feature ties directly to the recipients phone-based texting. The SMS service will be available to users of Echo, Echo Dot, Tap and the Alexa app. I could not confirm integration with Echo Show, but it seems likely given the device is simply an Alexa-powered Echo with a screen. You can imagine that the texting service will be even richer with a complementary visual element. The information provided to Voicebot also suggests that Alexa SMS will be free for users for a promotional period. Amazon has a SMS feature today offered through AWS. The solution is part of Amazon Simple Notification Services (SNS) and enables broadcast SMS for organizations to contact users for either transactional or promotional purposes. Kashmir Hill had an insightful article in Gizmodo in July called, “Surprise, Echo Owners, You’re now part of Amazon’s Random Social Network.” The article was mostly about privacy and the implementation of new Alexa-based communication features. However, the real insight is that Amazon is building a social network off of the Alexa platform. Apple, Google, Facebook already had this baked into other products. Amazon had information on individuals but not on how they were connected. Alexa is providing that window. The SMS feature will take that even further. Communication is a great benefit of hands free devices and SMS will make Echo even more valuable to users. You could also see this morph into expanded calling features similar to what Google Home released last week. For example, now that Echos will have a number associated with them, you could enable them to dial local businesses like Google Home can do now. There are a number of basic benefits to introducing a phone number to each Echo device or account. The social connectivity information and capabilities from introducing SMS are just an added incentive for Amazon to roll them out and provide opportunities for even more features over time. Amazon responded to a request for comment with information about the existing messaging feature which is not SMS. I will update this article when (if) I hear back about the new SMS feature.